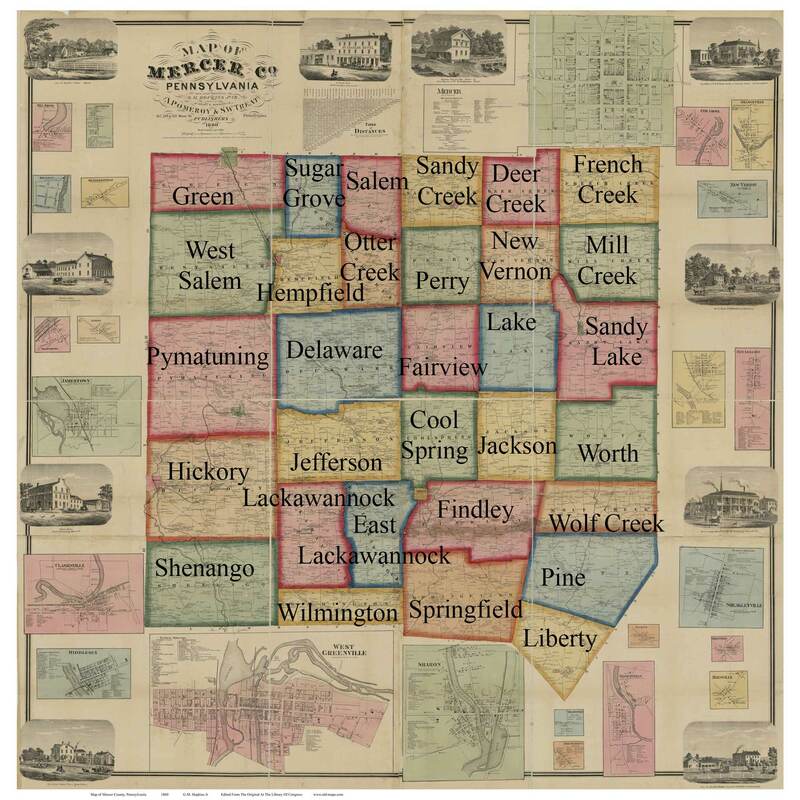 Towns on Source Map - Mercer Co., Pennsylvania 1860 - NOT FOR SALE - Mercer Co.
Click the button below to add the Towns on Source Map - Mercer Co., Pennsylvania 1860 - NOT FOR SALE - Mercer Co. to your wish list. Note - This item is not for sale, it is here to display the source of these town maps. Source Map - Map of Mercer Co. Pennsylvania, 1860 by G.M. Hopkins Jr. Title of Source Map - Mercer Co., Pennsylvania 1860 - NOT FOR SALE - Mercer Co.
Sandy Creek Township, Pennsylvania 1865 Old Town Map Custom Print - Venango Co.